A great way to taste the excellence of Oliva. A great way to taste the excellence of Oliva. 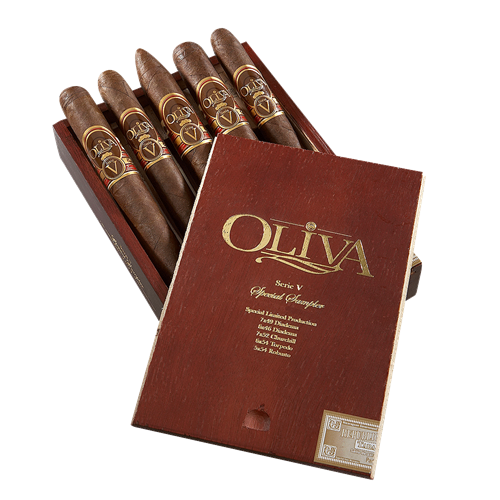 Sampler includes 5 Oliva Serie ‘V’ cigars including two in the limited Diadema size and one each of Churchill, Torpedo, and Double Robusto. It also doesn’t hurt that the Serie ‘V’ received an astounding 94-rating by Cigar Aficionado. The Oliva Serie V Sampler comes lovingly packaged inside a Spanish cedar gift-box containing 5 generously sized sticks.